Elsewhere, he concedes, “the British are not great eaters of salads.” Indeed, he says, “the two great shortcomings of British cookery are a failure to treat vegetables with due seriousness, and an excessive use of sugar.” He does go on at length, in fact, about what sounds like a national epidemic of sugar addiction. Such lapses of taste are also what we would now label a nutritional emergency. He may seem to grant too much to critics of British cooking. But this is mainly by contrast with spicier, more vegetable-friendly cuisines of the continent and colonies. The kind of cooking he describes makes creatively varied uses of sturdy but limited local resources (except for the sugar). Orwell’s brutal honesty about British food's deficiencies makes him sound like a trustworthy guide to its true delights. One of the truths he tells is that “British cookery displays more variety and more originality than foreign visitors are usually ready to allow.” The average visitor encounters British food principally in restaurants, pubs, and hotels, which, “whether cheap or expensive” are not representative of “the diet of the great mass of the people.” This may be said of many regional cuisines. But Orwell is devoted to a native British cooking which had, at the time, almost disappeared after six years of war rationing. This cooking is rich in roast and cold meats, cheeses, breads, Yorkshire and suet puddings, potatoes and turnips. The British diet is, or was, Orwell writes, eaten by the lower and upper classes alike, under different names and prices. Seasonings are few. “Garlic, for instance, is unknown in British cookery proper.” What stands out is mint, vinegar, butter, dried fruits, jam, and marmalade. 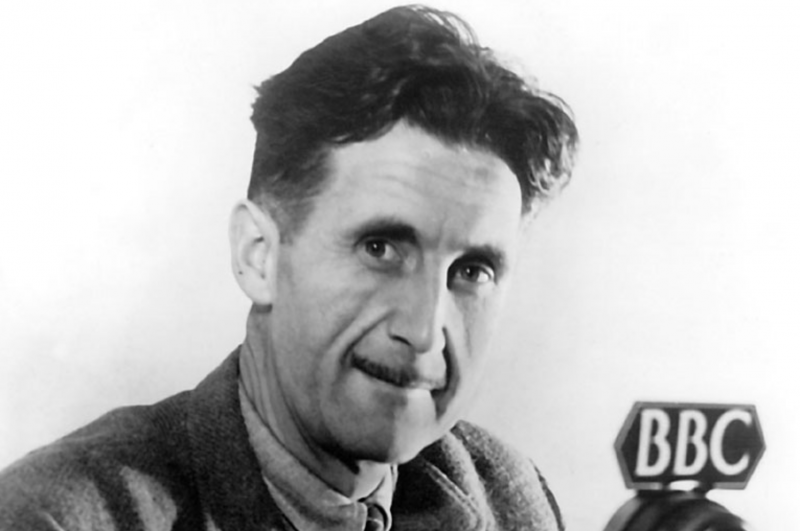 Orwell himself included a marmalade recipe. (A handwritten note reads “Bad recipe! Too much sugar and water.”), which you can see below. Decide for yourself how much sugar to add. An increasing number of people are cutting back or quitting nearly every main ingredient in what Orwell describes as authentic British cooking: from meat to dairy to gluten to sugar to suet…. But if we are going to give it a fair shake, he argues, we must try the real thing. Or his version of it anyway. He includes several more recipes: Welsh rarebit, Yorkshire pudding, treacle tart, plum cake, and Christmas pudding. Orwell’s "British Cookery" wars with itself and comes to terms. He fills each paragraph with frank acknowledgements of British cuisine’s shortcomings, yet he relishes its simple, solid virtues. He writes that “British cookery” is “best studied in private houses, and more particularly in the homes of the middle-class and working-class masses who have not become Europeanized in their tastes.” It's a kind of cultural nationalism, but perhaps one suggesting those who want others to understand and appreciate a specific kind British culture should invite outsiders in to share a meal. Amazing news! I love when my favorite author can still surprise and impress after many years. I loved this essay as all another ones! I love writing, and consider myself good at it, but sometimes I realize I have a lack of poetic vibes in my essays. If you are interested in what I’m talking about, you can use go to writeanypapers.com and check out on your own. Anyway, George Orwell still rocks!